I have just uploaded a couple of new images to QRZCQ.com, the new ham radio database site. If you wondered where the nice QSL images in recent blog posts came from, I took them from those ham's profile pages on QRZCQ.com. I thought it was a good idea to use a QSL image for the page, so I scanned one of my printed QSL cards and uploaded it to my own profile on the site. You are allowed two pictures, a main one and a secondary one, so I uploaded a photo of me in the shack for the secondary image. It's good that the site developers allow decent sized high resolution images. I have also uploaded my contact log to QRZCQ.com. That was a simple matter of exporting the log to an ADIF file from KComm. The most up to date copy of my log will always be the one at G4ILO's Shack, though, because that is taken directly from the off-site backup copy of my log, uploaded automatically whenever I close KComm. Very nice photo! 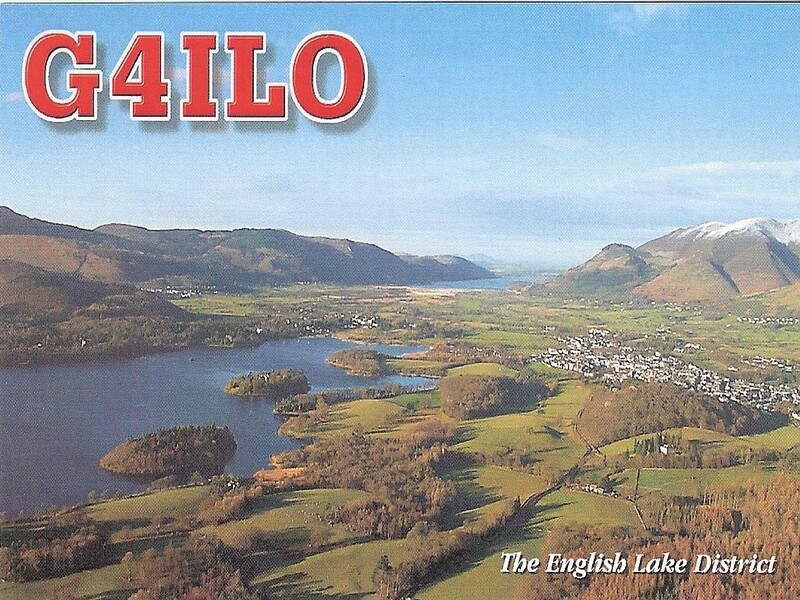 Derwent Water, Keswick and a snow covered Skiddaw, isn't it? That's right. Taken from Walla Crag IIRC.